A few weeks ago we noticed that Ryanair was offering bargain priced flights to Gdansk, and as we’d enjoyed our previous visit to Krakow, the opportunity to visit a second Polish destination seemed irresistible. Our flight departed Leeds-Bradford airport promptly at 9.30 a.m. taking just two hours over to Lech Walesa airport. The airport is named after the former Polish president and its gleaming, spacious arrivals hall was only completed in September 2015. Accessible to the terminal via a footbridge is the Gdansk Port Lotnczy railway station with services into the city’s main Gdansk Glowny station every hour. A more frequent service operates to Gdansk Wrzeszcz from where passengers can change to Gdansk Glowny. Tickets can either be bought from the machine on the platform or on board the train. We used the ticket machine which was easy to operate with single tickets costing only 3.80 zl (approximately 80p) for the 25 minute journey. It was shortly after 1.00 p.m. when we arrived in the city centre so we decided to head straight to our hotel the Gdansk Novotel Centrum to leave our luggage. We had selected the Novotel because of its position on Granary Island in the middle of the Motlawa river, yet only steps away from the historic old town. It took us approximately 25 minutes to reach the hotel on foot and after quickly checking into our well equipped room with views overlooking the hotel’s large garden, we were ready for some lunch. 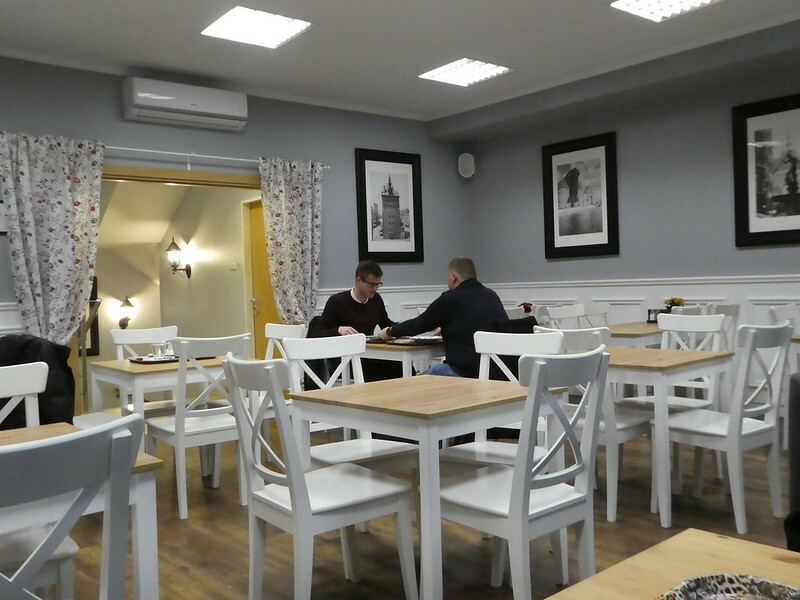 We soon found a cosy cafe near the Gdansk Ferris Wheel where we tucked into bowls of Polish sour soup, dark rye bread and glasses of the local Tyskie beer setting us back just 35 zl (£7.30) for the two of us. We were unsure what the soup would taste like and hoped it wouldn’t taste sour, in fact it actually tasted delicious and we later discovered that it’s made from soured rye flour and meat and is a traditional recipe of both Poland and Belarus. It was then time for some sightseeing, Gdansk is relatively compact with the majority of its attractions being accessible on foot. 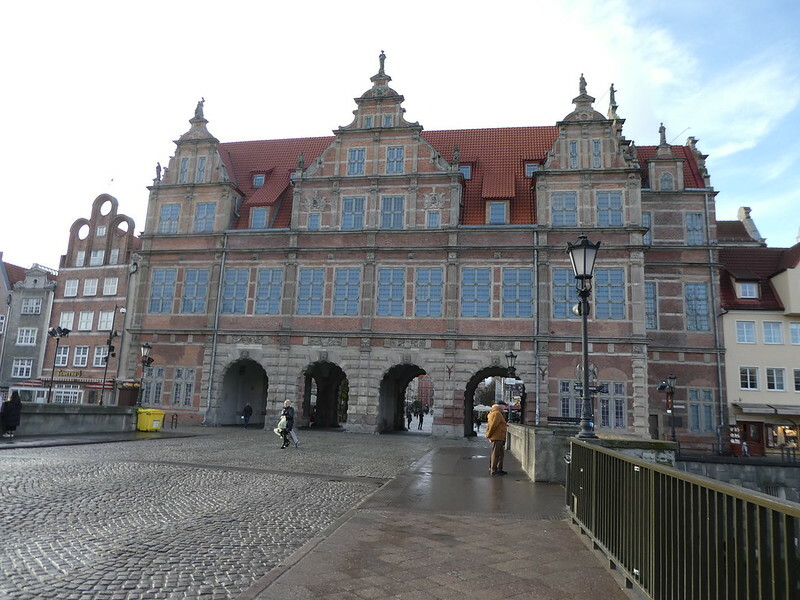 The city was once a member of the Hanseatic League, an alliance of merchants in the late Middle Ages that developed trade routes across Northern Europe. Despite much of the old town being destroyed after the devastation caused by World War II, it has been painstakingly rebuilt in its original style and is truly beautiful. As we strolled along Long Bridge, an embankment on the edge of the old town lined with beautiful Hanseatic buildings and apartments, we paused to admire the photogenic views. Passing through the Green Gate which links the river to the Long Market, we followed the Royal Way which was the route taken by the Polish kings during their visits to the city. From the Green Gate, we continued along the absolutely beautiful Long Lane (Ulica Długa). This broad avenue has been the city’s main thoroughfare since the Middle Ages, flanked at each end by its Green and Golden Gates. This pedestrianised road is lined with delightful buildings reminiscent of the Netherlands with their Dutch inspired style of architecture. All the way along are attractive cafes and restaurants with their outdoor wooden terraces still operating during the winter months, their guests keeping warm and cosy wrapped in the blankets provided whilst sitting near the outdoor patio heaters. A short distance further along, in the centre of the Long Market, stands the Neptune Fountain, its statue dating back to 1549. During the Second World War, the fountain was dismantled and hidden away for safe-keeping, surviving the ravages of war intact. The fountain was finally returned to its rightful place in the 1950’s for everyone to enjoy and is a popular meeting place in the city. To the side of the Neptune Fountain stands another beautiful Dutch inspired building, Artus Court, dating back to the 17th century. This building was also rebuilt after WW2 damage and is now a branch of the Historical Museum. Artus Court takes its name from the legendary King Arthur as it was his meeting place between knights and merchants in the Middle Ages. After our early start to the day we were beginning to feel a little tired so we popped back to our hotel for a short rest before eating dinner in a wine bar called Chleb i Wino (translated meaning bread and wine) which was located on the island just a few minutes walk from the Novotel. Both the food and service were impressive and my main course of pork in a chanterelle sauce was so good that I was already thinking of returning later in the week to try one of their other dishes. Beautiful city Gdansk with a lot of WW2 history. I have been here some 23 years back. I still have a picture taken where you captioned “Old Town”. Thank you for bringing back memories. Gdansk was a splendid short break and I would very much like to return again. I’m glad one of my photos brought back some happy memories for you. Gdansk is gorgeous, I could go back any time! Thanks for another lovely tour. You really bring your destinations to life! It’s my pleasure, I’m so pleased you are enjoying my posts. Nice! If I ever visit Poland, I’ll read more　of your blogs for information. The pictures were great. Thanks! Thank you, I hope you get a chance to visit Poland sometime. Thank you for your kind words. I think you would enjoy a visit to Gdansk as it is beautiful. Poland, well then, not what I pictured. I’m ready to go if for no other reason than that Polish Sour Soup! Poland is a lovely country and that sour soup is delicious ! Thank’s Bruce. Gdansk is a hidden gem and was a lovely place for a short break. Thank you, I hope you have a great time. Looks like a gorgeous winter break! We’re visiting Gdańsk this summer and actually booked the same hotel, so good to know it was convenient! The Novotel is in a perfect position for getting around Gdansk. I’m sure you will have a lovely time. Thanks for your much appreciated comments. Great post! Honestly, I think I neglected to appreciate just how wonderful Poland was! Gdansk is now definitely added to my travel list! Thank you for your kind words. I hope you get an opportunity to visit Gdansk soon. Gdansk is definitely worth a visit Suvi, so pretty, lovely food and inexpensive beer! Sounds like a lovely place to get out and explore. I haven’t made it to Poland yet but think I might need to! Think you would enjoy a visit to Poland Leanne, I hope you get there soon. Oh my, it’s so cool seeing my country as travel destination of other people! I hope you can visit all big beautiful cities here ❤ they are totally worth it!!! Thank you for your kind words Juliet. Gdansk is absolutely lovely and we have plans for visits to other Polish cities soon. Very Dutch Marion I agree…if (perhaps ‘when’) I go to these parts of Europe I will be using your blog to help me navigate my way. So pleased to read you find my blog useful. I hope ou enjoy many more visits to Europe in your retirement Sue. Me too thank you M.
Great post, I hadn’t really considered Gdansk as somewhere to visit until I saw your amazing photos… another one to add to my list! 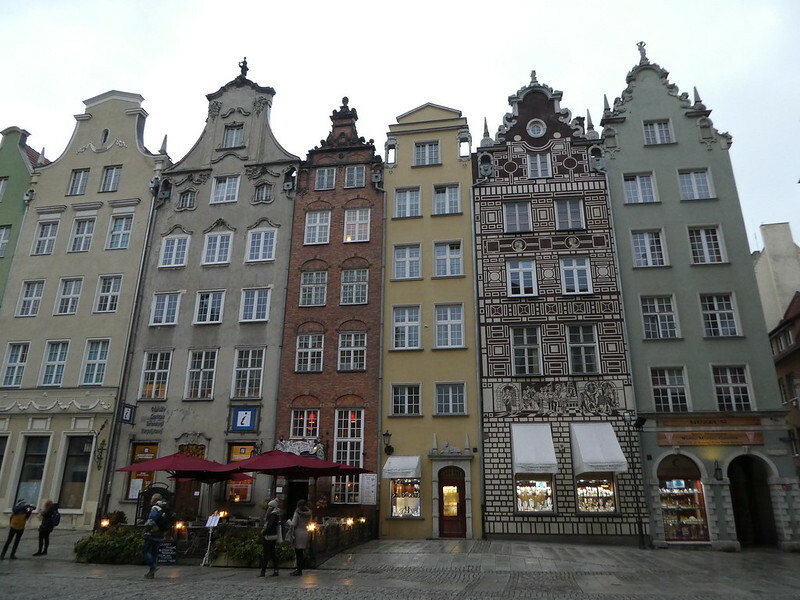 Gdansk is perfect for a short break and inexpensive. I’m certain you would enjoy a visit. Thanks for your ever welcome thoughts Andrew. visited Gdansk two weeks ago! the river was frozen over and snow was on the ground. It was a totally different feel. Love your blogs! Thanks for your kind words. It’s so nice to learn that you are enjoying my posts and that you have recently visited Gdansk. I always look at the cheap flights from Leeds Bradford to Gdansk and one day I will find the time to book them! This is encouraging me even more to do so. Great photos. 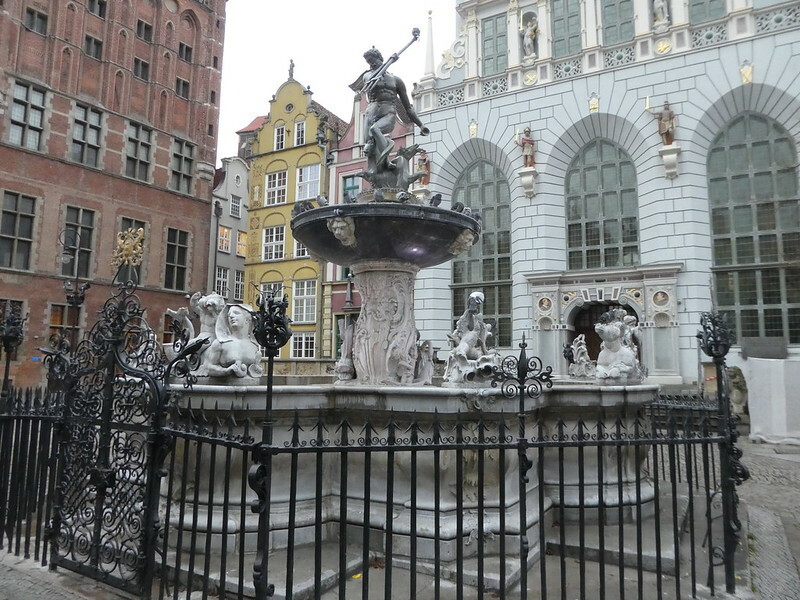 You will definitely enjoy a short break in Gdansk, it’s such a lovely city. I imagined that Gdansk was a nasty industrial city to avoid, but your photos are beautiful! 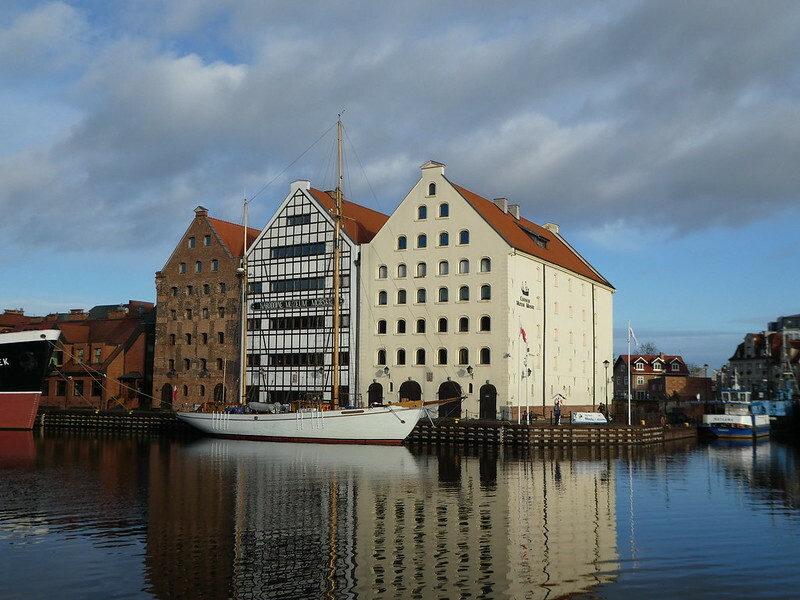 Gdansk is absolutely beautiful and the perfect destination for a short break. I hope you get an opportunity to visit sometime. Very interesting. I wonder if your trips to Europe will be as easy to arrange after BREXIT? I can’t envisage any problems but we’ll have to wait and see what happens. I’m pleased you enjoyed my first post on Gdansk. Gdansk is another place I enjoyed via your travels. The photos and descriptions save me time and expense. I sit at the computer with a drink and watch rabbits and quail run across the desert scrub. My blog needs attention. . . .next trip in April to North Carolina. That’s more than a two hour flight from Tucson. North Carolina sounds like a good trip. It must be fun to watch wildlife from your window! Thank you for your kind words of encouragement. Love this post! I really love the story of Neptune Fountain being dismantled then replaced after the war. Thanks Ingrid. I also thought it was a lovely story too about the fountain being packed away. This is the next city in Poland I’m determined to visit! It’s really beautiful with lots to see and do. Thank you, both Krakow and Gdansk are very picturesque. I’ve written a very short piece about what is there in Poland 🙂 Please, have a look if you are interested. Thank you for your kind words. Poland has s much to interest tourists, good food and low prices. I’ll definitely take a look at your link. Wonderful post and pictures! You have inspired me to visit there! Thank you for your kind words. 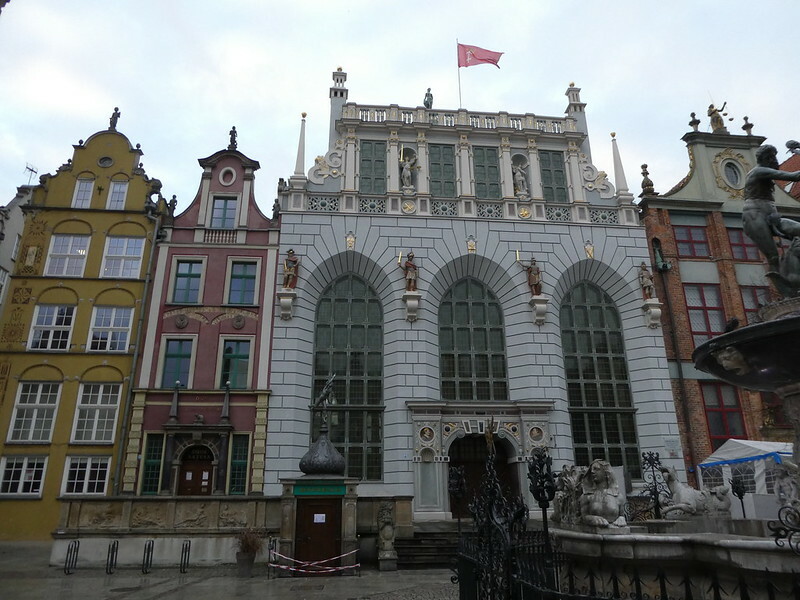 ‘M sure you will enjoy a few days in Gdansk. Your accompanying photos are really sharp. Love your posts too. … to read you are enjoying my posts. Such a pity Tanja, perhaps you will get there one day as ‘m sure you would enjoy t.
Thanks Marcus, Gdansk is beautiful and with very cheap flights (no more than a return train to London) it’s a lovely place for a short break. Thanks for taking time to read my posts and for being such a loyal follower of my blog – it means a lot! It’s interesting to learn that your parents were born in Poland, there are several excellent museums to visit too. Thank you Ayunda, Gdansk is absolutely gorgeous and definitely worth a visit. Gdansk is absolutely beautiful. I hope you get an opportunity to visit soon. 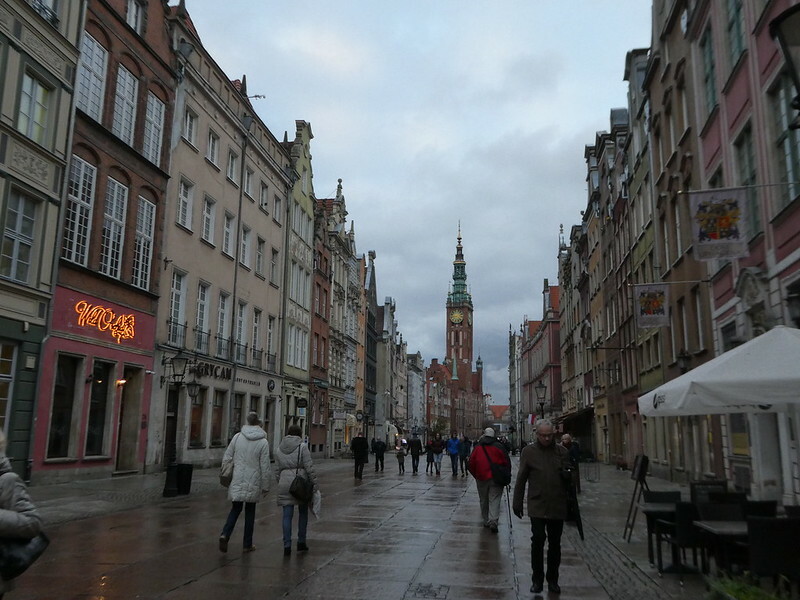 Thank you for your much appreciated thoughts on the start of my series of posts from Gdansk. It’s a beautiful city and I’m certain you would enjoy a few days there. Have a nice weekend! Having been to Krakow last year, this looks like it would also reward a visit. Oh, and the soup. I love zurek and am planning to try and make my own this year. Gdansk is perfect for a short break and hopefully this series of posts will inspire you to visit Stella. Thanks for your comments. You can always come to visit Warsaw as well 😀 there are cheap flights to Warsaw from London as well. It’s definitely our plan to do that soon! Will be good I’m sure. It should be. There are a lot of places to visit also in Warsaw. 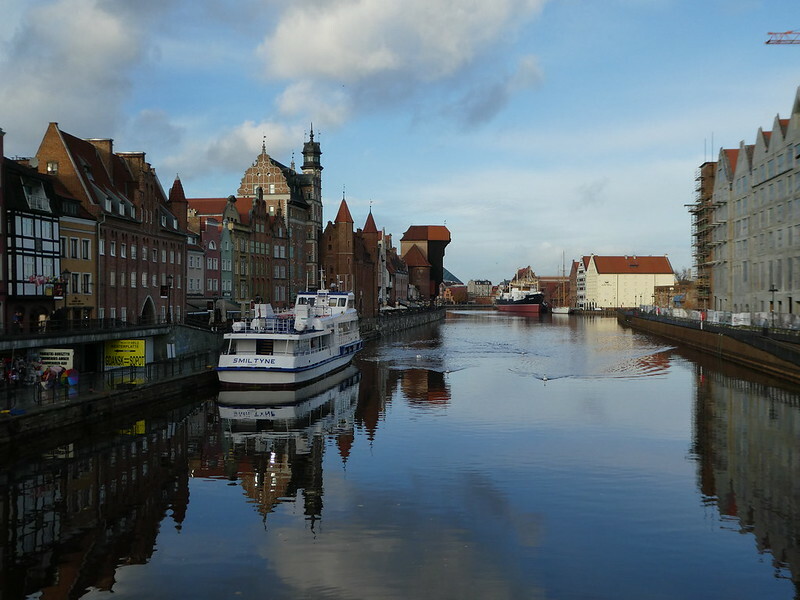 Gdansk is beautiful and hopefully you might get some inspiration of things to do from this series of posts. When are you going, you will love Poland! That’s a great time to visit. I’m planning on visiting Warsaw and Wroclaw before then so you might pick up some more ideas from my posts. Thank you for your positive comments about my Gdansk and other European posts. Gdansk is gorgeous. Thank you for your comments. You did a lot during just one day! We arrived early so managed to fit a lot in. Gdansk is such a lovely city. Yes, IT is. As I see you did not have a chance to visit some churches in Gdańsk – some if them are also worth to see inside or go to Sopot. The good thing is that a lot of places is nearby in Gdańsk do you can walk around. I did get to visit those places so stay tuned! This is only the second post of my series on Gdansk. We didn’t get to Gdańsk when we travelled in Poland in 1997 and 2006. After reading this post I will be sure we do next time. The old restored buildings look beautiful.